Making a sustained effort to study the principles of fine art and understand art history and traditions is a major commitment made easier by the abundance of information on this subject. Understanding how experienced artists develop ideas and concepts, and then translate that to photography sessions is another matter. Some of the best-known nature photographers will describe specific projects in books and magazines but rarely take the time to define and communicate their methodology in detail. How does the idea for a specific project originate? 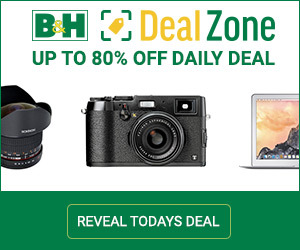 Does that start with the photographer, or with a publication editor? How does the photographer develop a specific approach after the subject has been chosen? How does that translate to specific field trip plans, and what kind of equipment does that require? How does that influence the types of exposures that he or she winds up taking, and is there room for deviating from the plan? 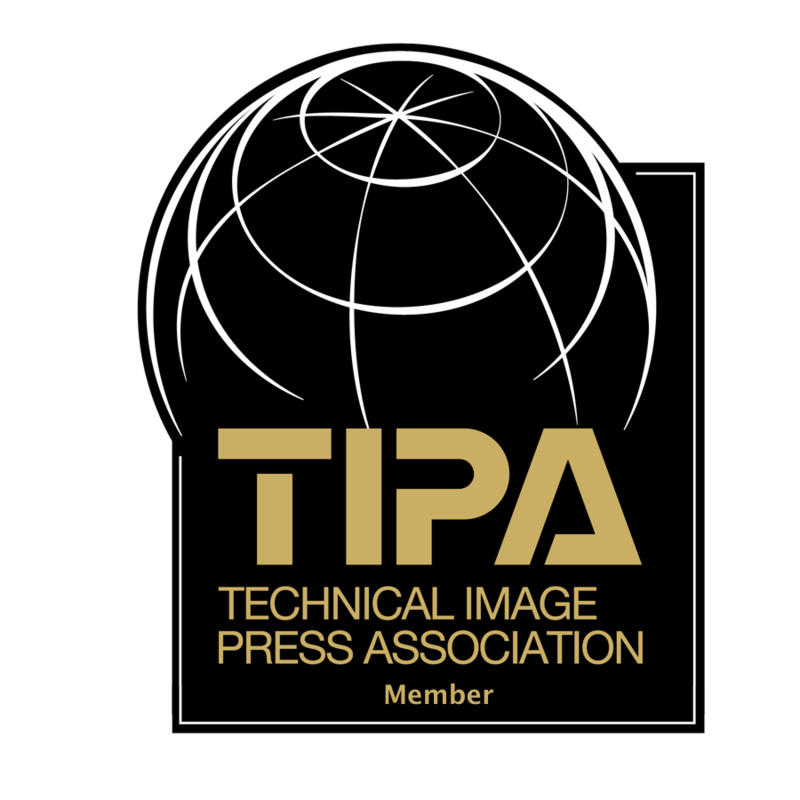 Regarding the first question, in today’s world, only a handful of nature photographers work on long-term contract for major publications like National Geographic Magazine. In those cases, the subject to be covered is often laid out by a publication editor, with leeway for the photographer to develop his own slant on the resulting photo-essay. But, in most cases, nature photographers freelance, and must market their concepts as well as their images. And, that’s where it gets challenging over time. Projects conceived by freelance photographers may result from an ongoing attachment to a type of landscape or one specific species of wildlife, and this may become a rich source of project ideas over time. Many projects are one-shot deals, the result of something different momentarily attracting the photographer’s interest. That may be a subject, a type of photograph, or a technique that has suddenly become popular, but which represents a fresh approach for that specific photographer, giving him a new priority. But, all such motivations have one commonality. They make the photographer think, which usually results in an actionable idea. From there, it’s a matter of research to develop a concept for the way in which the subject is to be presented, and how that is to be accomplished. My own experience is varied. I have had a long-term attachment to horses which has generated at least ten photography projects for me. I had an athletic Anglo-Arab stallion that I rode almost daily for fifteen years. From him, I learned much about the intelligence and psychology of horses. And because he was trained by a Mexican-American charro whose family had been horse trainers for over 200 years, I soon learned how European immigrants went west, learned how to ride horses and wrangle cattle from charros and vaqueros in the Southwest, and became the first American cowboys. This strong interest coupled with my love of the old west ultimately led to publishing a book entitled “In Search of the Old West”. Now, I am creating material for a second book detailing the role of the horse and horse peoples in the settling of the West. When I can, I photograph horses just for their beauty and spirit, which takes time and patience to produce a portfolio that does them justice, and doesn’t merely reproduce what other photographers have published. Photographing them in the wild offers opportunities to see pure natural horse behavior, and is the motivation for some of my field trips. I tend to do photo essays with images that help tell their stories, as opposed to just doing horse “portraits”. The gear that I took with me was simple and flexible. It consisted of a fast handling Sony A6000, and a Sony A 70-300mm f4.5-5.6 zoom lens with an LA-3 adaptor for distant scenes and close-ups. 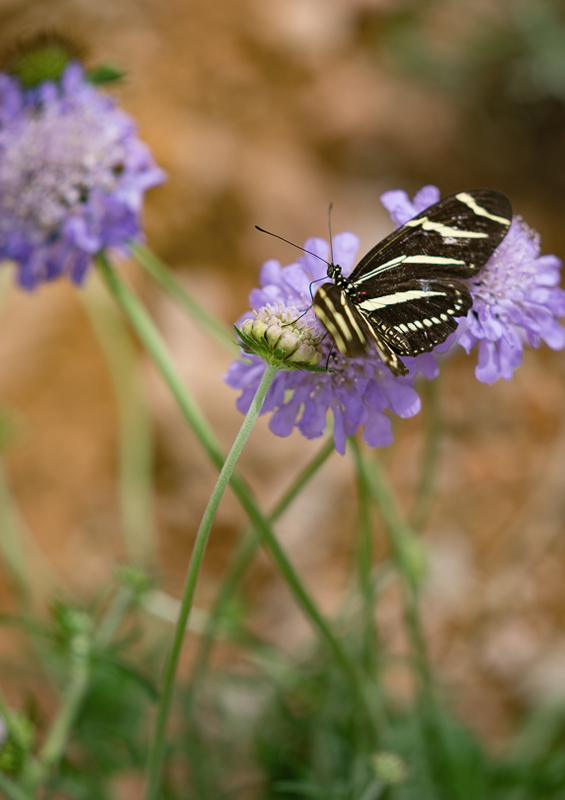 The focal length equivalent on the C-size sensor was 105-450mm, which gave me plenty of reach. I also carried a Sony A7r camera with a Sony Zeiss 55mm f1.8 lens for wider coverage which I wound up using a lot, as the horses have no natural enemies on this ranch and were friendly, curious and approachable. Shooting in daylight with the ability to use higher ISO’s with little noise freed me from having to use a tripod. I covered a lot of ground and often had to move with the horses so mobility and flexibility had high priority. 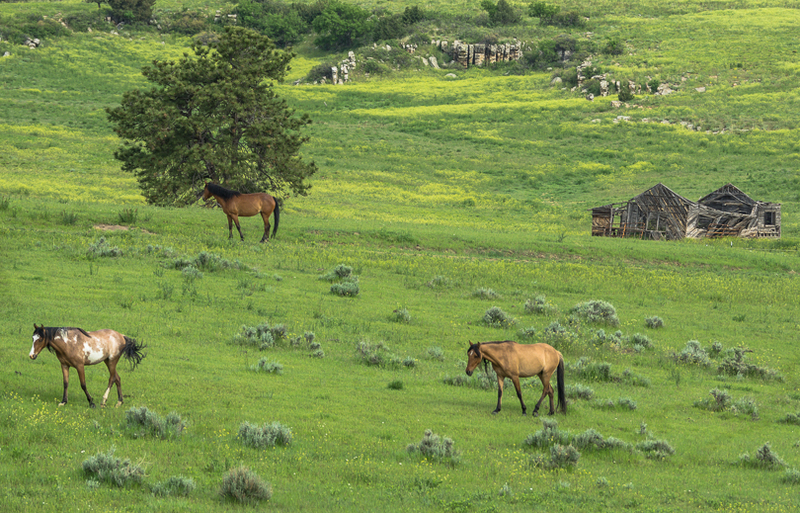 The image shown above represents a small portion of the “American” herd that lives on this ranch. 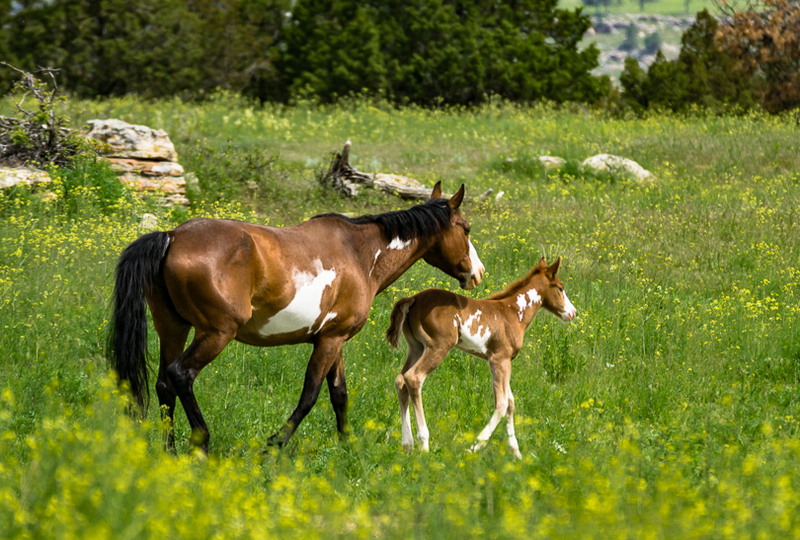 These are mostly the descendants of so-called ‘Indian Ponies” or Paints that were once owned by Native American tribes and escaped and thrived in the wild. They are distinguished by mixtures of white and a dark color which Native Americans prized. In further appreciation of these Paints, the sanctuary allows and aids members of the neighboring Sioux tribes to meet and conduct sacred ceremonies annually on sanctuary land. Frames for tepees, consisting of lodge poles, are left standing all year and are fully decorated on those special days. The sanctuary accommodates limited breeding to give its horses a completely natural experience, and to keep the mares calm. The preceding image and the following one feature an inquisitive, super-energetic, four-day-old filly. 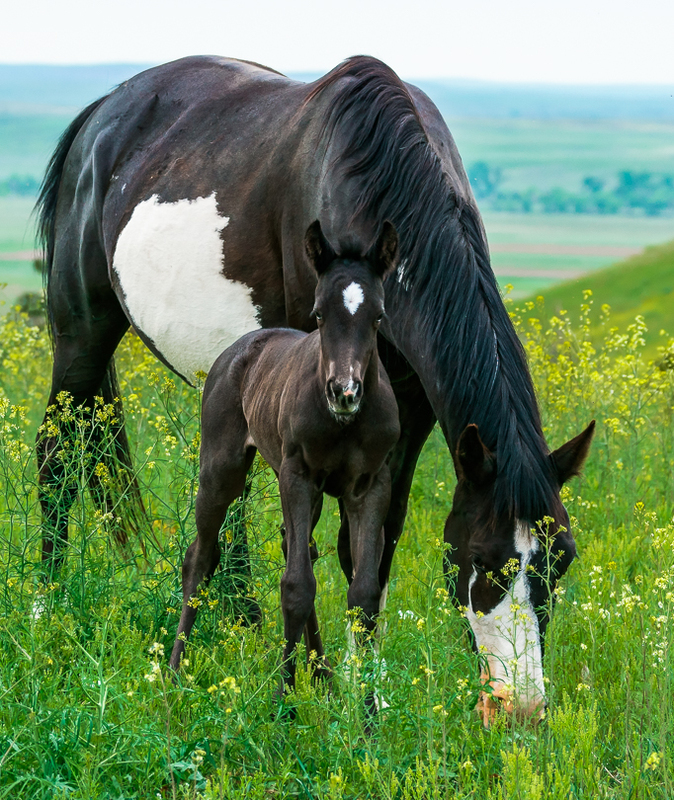 Her calm mother grazes contentedly while keeping a watchful eye on her foal’s antics. 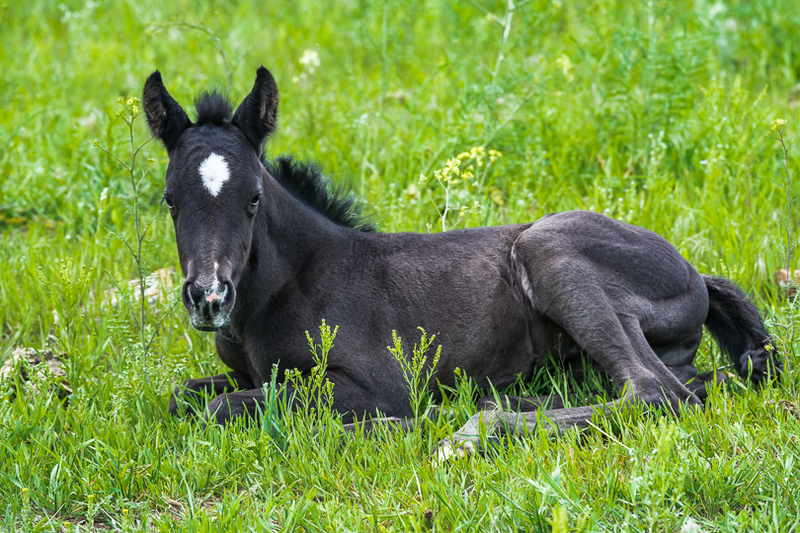 After several minutes of literally running rings around her mother, the filly would lie down and recharge. The second herd in this refuge is referred to as the Spanish Herd. 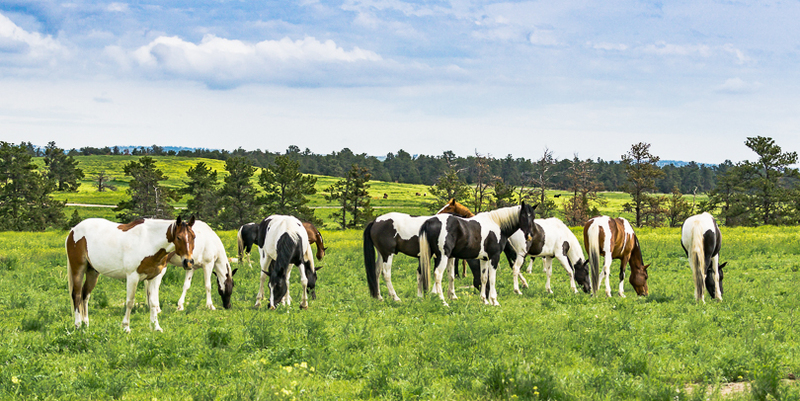 It is comprised of the wild descendants of the original Spanish horses brought to the new world by the Conquistadors. 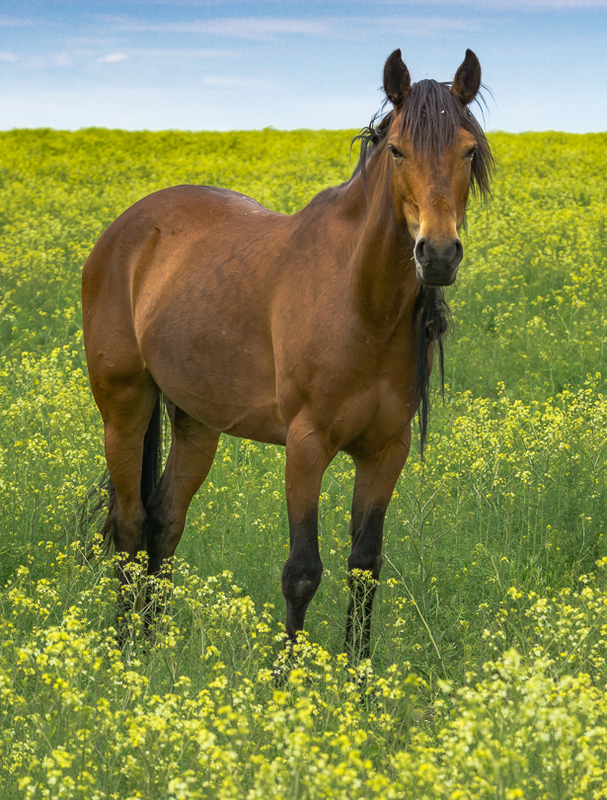 The original Spanish horses were brought to the Americas in the 16th century. The Spaniards charged local Puebloan tribes with the task of caring for their horses and assisting in the breeding and training. Over the next two centuries, the Pueblo tribes sold some of the offspring to the nomadic Navajo who traded with many western tribes. This is how the tribes like the Sioux, the Cheyenne, and the Comanche became horse peoples and outstanding horsemen. 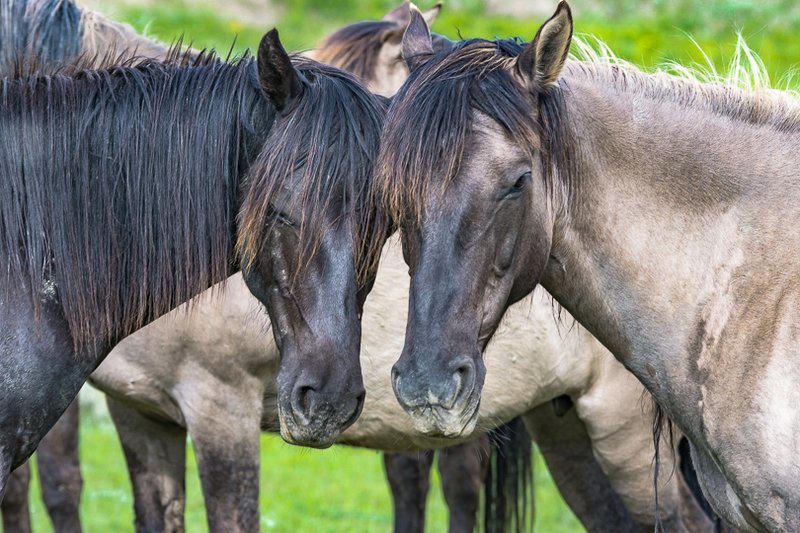 During this same time span, thousands of the Spanish Horses escaped and repopulated the western states which hadn’t contained horses in over 10,000 years. At that time, horses died out in North America where they had evolved. But, many crossed the Bering Straits land bridge and prospered in Asia and Europe. The Spanish horse strays completed the circle. 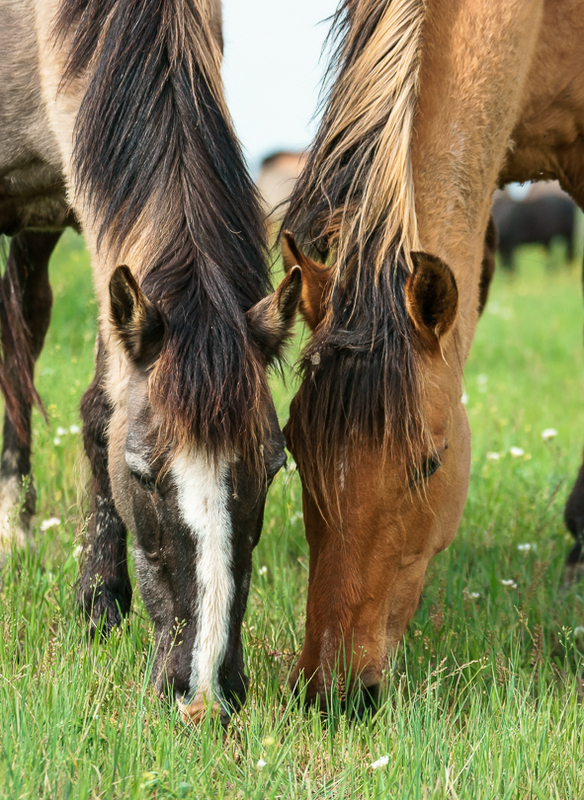 Their descendants are still characterized by their narrow, refined muzzles, and their thick, often double manes of contrasting colors, all of which can be seen in the following images. I included this narrative to demonstrate the importance of studying the history and background of the subjects to be photographed before, during and after the photographic outings. It leads to more clearly defined objectives, and to more finely targeted exposures. If your ultimate reason for embarking on a photographic project is to sell or publish your images, the narrative will be important in making the sale. As National Geographic photographers will tell you, any photo essay must have a set-up image that places the subject in his environment. 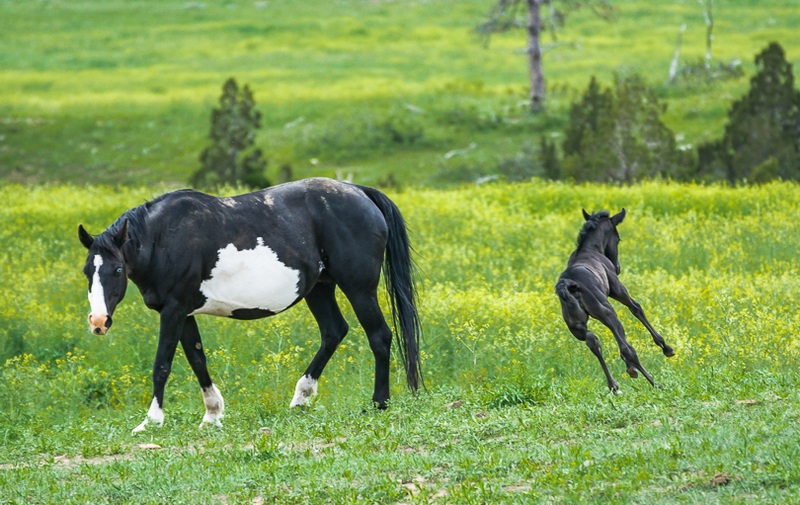 The following image accomplishes that for my Wild Horse Sanctuary project. I would have liked to stay with the wild horses longer. 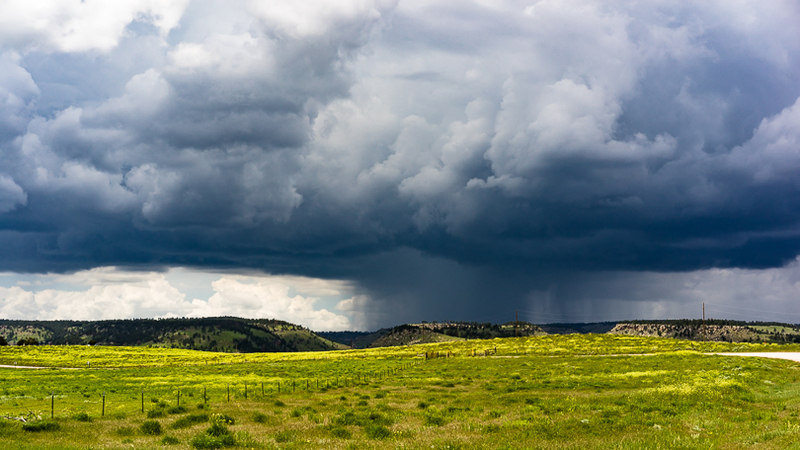 But, this was bearing down on the ranch, with a whole bunch more following it. My horse photography projects are still works in progress. I have photographed wild horses roaming along the Salt River near Mesa AZ, horses in Iceland, and horses trained by charros for use in their charreadas. Charreadas are traditional displays of Mexican horsemanship, roping, and bull-riding. 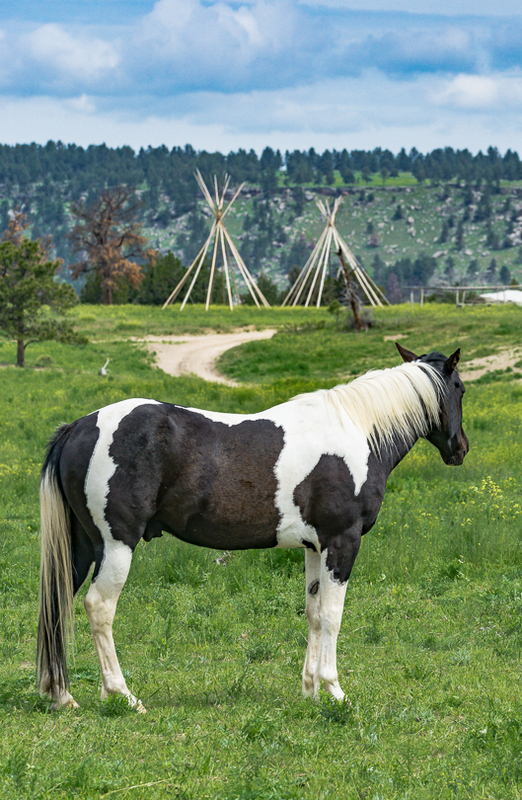 Future projects include photographing horse peoples like the Cheyenne and their horses. Of course, it’s easy to conceive and plan photo projects when you have a deep involvement in one or more subjects. But, one of a kind projects aren’t difficult to identify if you stay current with photography developments and trends. As I mentioned in Part II, I bought a state-of-the-art Sony FE 70-200mm f2.8 GM lens which promised brighter, sharper images with great bokeh, and noticeably shorter close focusing distance. After so many years of using small apertures for maximum depth of field, I craved a change. The prospects of isolating an interesting subject by reducing a distracting background to a pleasant innocuous blur were appealing. So, on a recent trip to California I visited the San Diego Zoo for some animal shots, and several weeks later stopped at the Botanical Gardens in Phoenix. For me, these two mini-projects were more about learning the characteristics and limits of my new lens. I anticipated that fine art would emerge later as I learn how to use this new tool to optimum effect. This shift in my thinking was triggered a few months earlier by several images that I had produced with a Sony 90mm f2.8 macro lens. 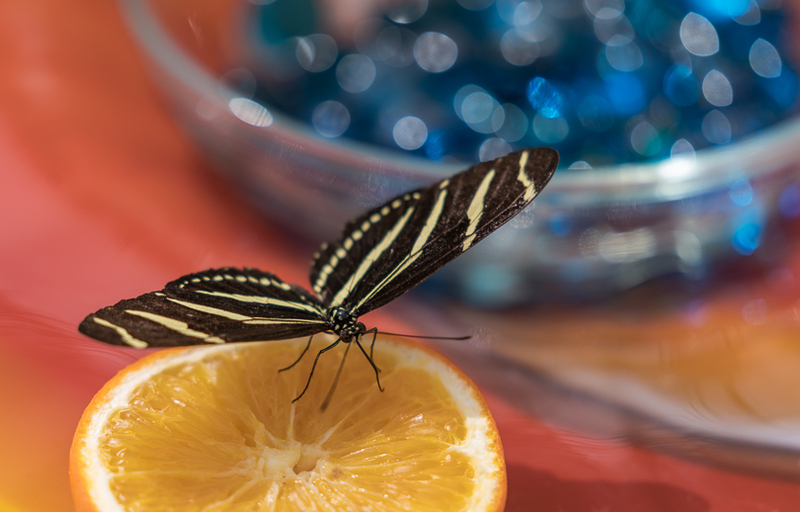 With that lens too, high sharpness and smooth bokeh are major characteristics; and I had a chance to test it at the Butterfly Wonderland exhibit in Scottsdale, AZ. Following are some of the images that I produced with the macro lens, and what I learned in the process. All three of these images are pleasing and could be considered fine art. They are publishable in any case. However, they can be improved upon artistically. The three exposures taken with a 90mm macro from several feet away were shot at f8.0. The backgrounds show good bokeh. But, two exposures show too much detail to achieve the level of isolation that I wanted. I should have used apertures of f4.0 and f5.6, which I planned to do on a follow-up trip. 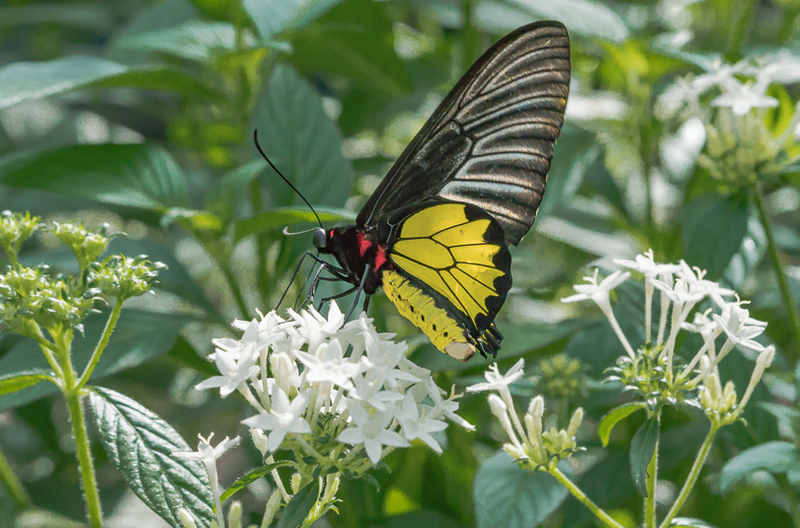 What I also learned was to ask questions and take notes about the names and habitats of the butterflies that I photographed. It’s difficult to publish images like these without proper labels. So, I had to do the hard work post-event to identify the different butterflies that I saw. Before I got to 90mm macro “Round 2”, I received my telephoto zoom and decided to test that lens at varying distances which greatly affect depth of field. The next images are the result of that test starting at distances of 32-36 inches. These two images largely achieved what I wanted with respect to isolating the subject from a barely discernable and smooth background. 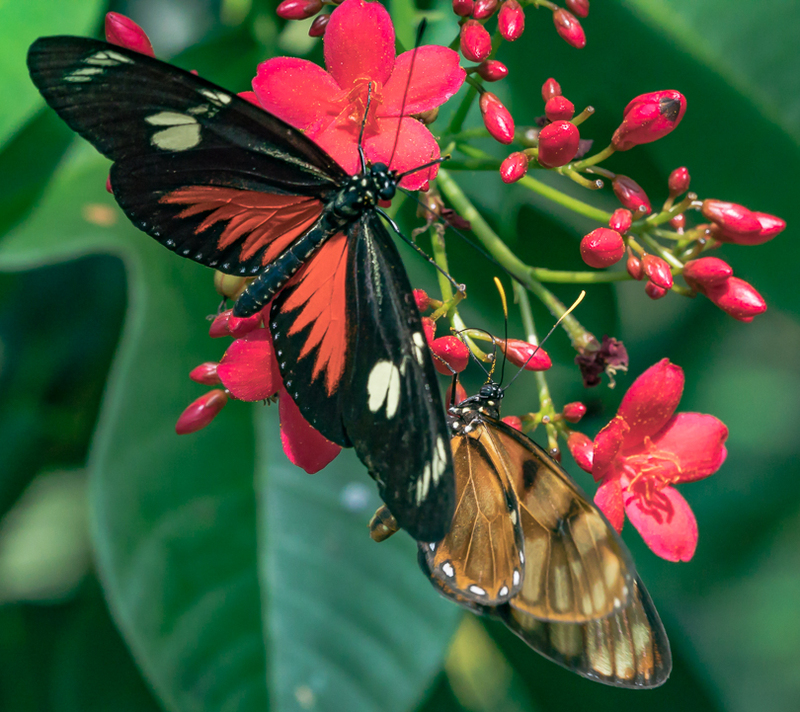 I would have preferred that all of the butterflies would have been in sharp focus to maximize the effect. To do this I probably could have shot at f5.6 with little adverse effect on the de-focused background. 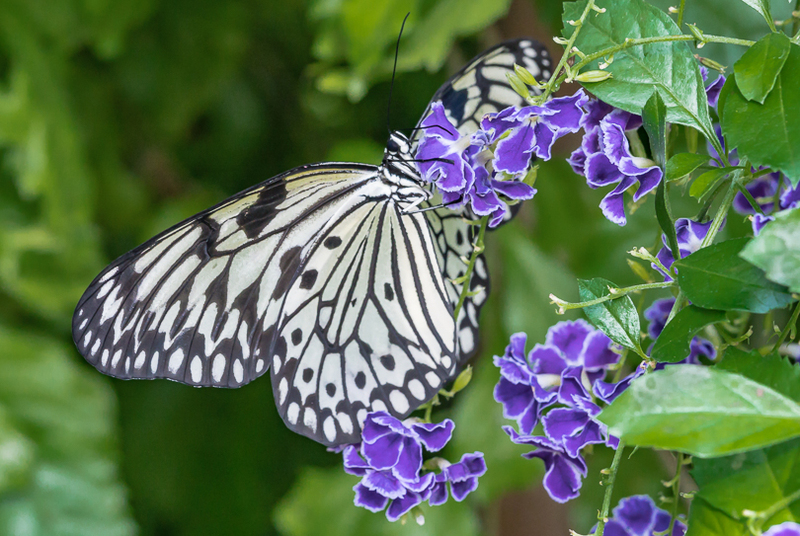 Or, I could have been more patient and waited for a pose in which the butterfly’s entire wings were in the same plane. The latter is preferable and taught me another valuable lesson. I had the sharp focus detection feature tuned on in my Sony A7r2 camera. Not only was it a little off, but the bright yellow outline prevented me from clearly seeing the areas of critical focus. It wasn’t until I returned home that I realized that I hadn’t achieved optimum critical focus. The other test for my 70-200 GM lens was at the zoo, where I was shooting at distances of 15 to 40 feet. 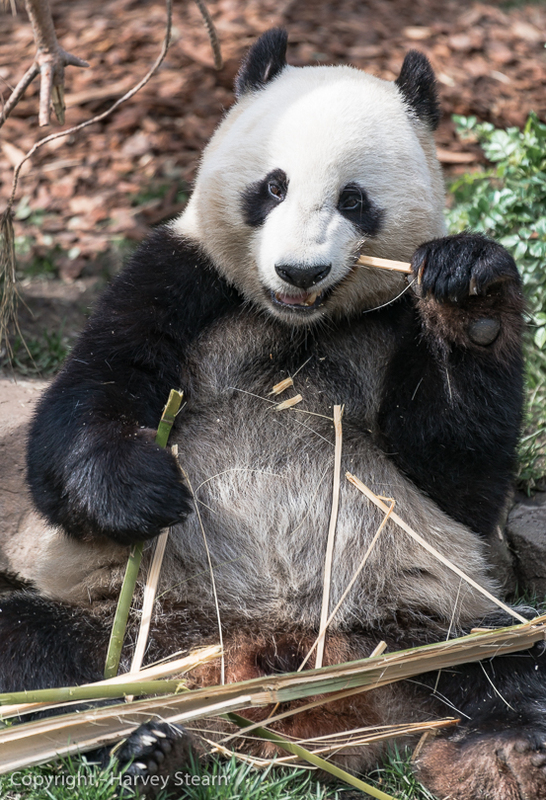 The next image, of a female Great Panda, was shot from a distance of 35-40 feet. I used an f-stop of f4.0. The Panda is sharp and is reasonably separated from the background. But, the background could have been more de-focused for better effect. I should have bracketed with a wide-open exposure at F2.8. 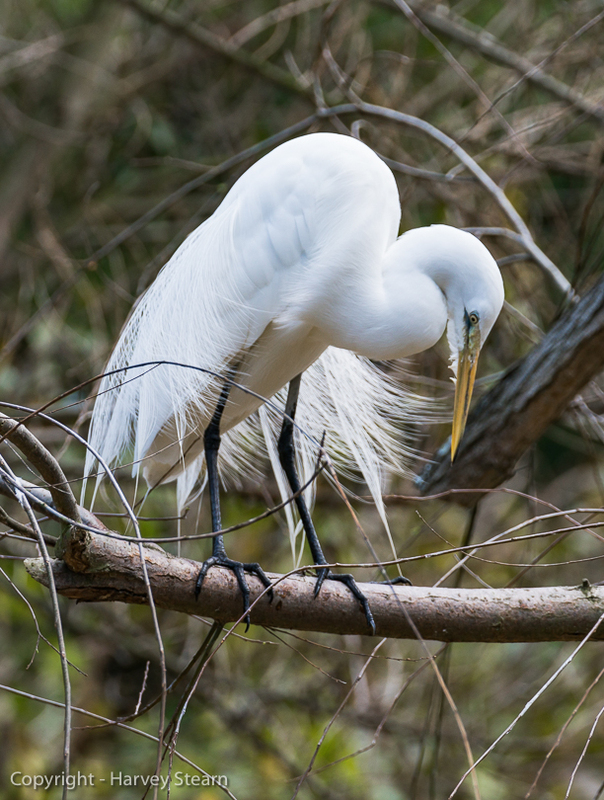 The following image of a wild Great Egret overlooking the Pelican exhibit from a tree was taken at a distance of 25 feet at f5.6. Considering how busy the background was with branches and leaves, this image appears to be in good balance for a shot that I wouldn’t otherwise take. 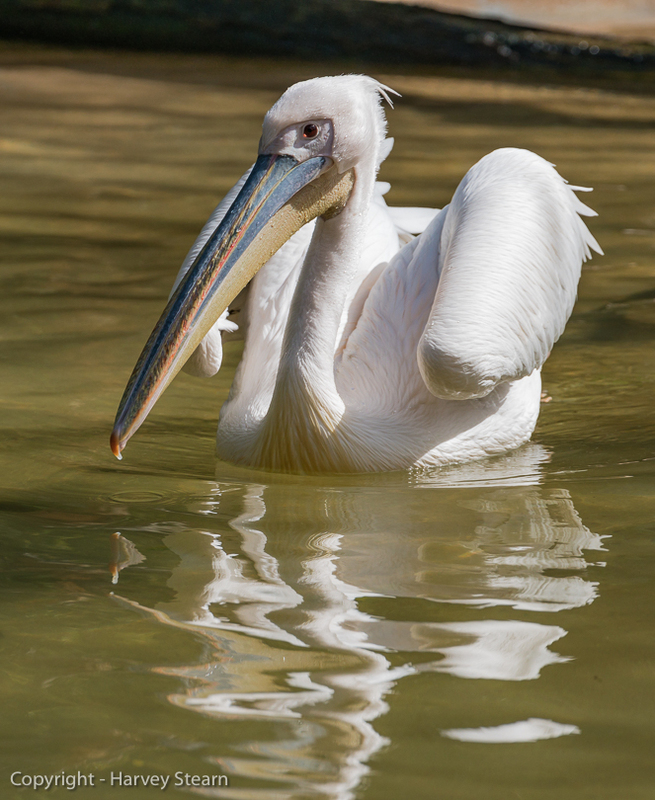 The next San Diego Zoo image is of a Great White Pelican (East Africa) taken at a distance of fifteen feet using an aperture of f8.0. The smaller aperture was needed to produce enough depth of field to keep the entire bird in sharp focus at the shorter distance. I like this image a lot, and consider it to be artistic. So, it is worth considering that not all field trips need to produce fine art. Some are necessary to test concepts and develop a plan to execute well on a return visit. What you can learn from these sessions is invaluable. Finally, there are those projects that are not planned, when you have to rely on a combination of luck and quick visualization in the field. Actually, most of us tend to rely on this type of shooting too much. But, there is no substitute for being skilled and experienced enough to pull a rabbit out of the hat when an opportunity presents. Seven years ago I got to know legendary photographer Jack Dykinga when he stayed at my house for four days prior to a major Fotofest in Sedona. 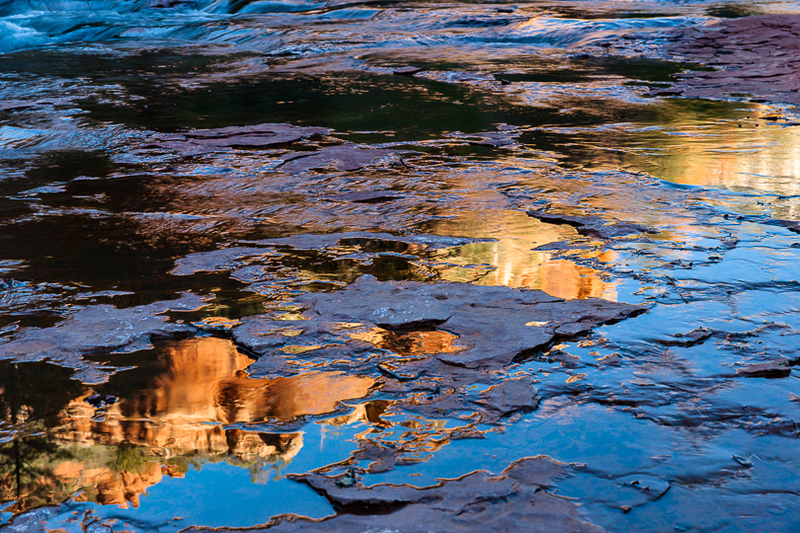 During that time, I and another friend, fine art landscape photographer Derek Van Briesen, accompanied Jack on a very early morning shoot at Slide Rock State Park in Oak Creek Canyon, near Sedona. I had photographed there many times but had made no preparation for this unexpected shoot. I only knew that I needed to do something different to avoid embarrassment. After arriving a half-hour before sunrise, I looked around and noticed how Jack didn’t bother unpacking his equipment for quite some time. I particularly noticed how he carefully studied the terrain from every angle, attempting to find a different interpretation of this often photographed site. That made me slow down a bit and look deeper. This is the result of what I saw on closer examination, the sun on the upper canyon walls with the creek bed still bathed in blue shadow. This image appears quite abstract. Yet the viewer can quickly recognize all its elements. In that sense, it is very real, which gives it credibility and the realization that this is a little different way of looking at something. It also has one of those combinations that outdoor photographers prize: the juxtaposition of warm reds and cool blues that arise in nature during first light. I know that what I chose to write about barely reveals what it takes to be a fine art nature photographer. But, I hope that I’ve presented some relevant and fresh insights that will prove helpful. The main take-away is that this profession is no different from others in that it takes a lot of thought, hard work and willingness to experiment to excel, in short, dedication. For those that choose this direction, there is hardly a greater reward than the satisfaction of producing fine art and having others enjoy it. Harvey Stearn has photographed nature and made his own prints for over 65 years. He was Chairman of the California Arts Council, a state agency in which he was a member for nine years. As such he was deeply involved with setting policy for public support of the arts. In a similar vein, he served on the State Arts Grants Panel of the National Endowment for the Arts for two years and was the founding Chairman of the John Wayne International Airport Arts Commission which curates and organizes art exhibitions within the airport facilities in Orange County, California.